In the USA, the Thanksgiving holiday is in a few days. This is a traditional time where families and friends gather to count blessings and thank those who have been helpful and supportive. This gracious time is a very humbling yet satisfying period where most of us find our souls and allow ourselves to ponder the fact that all of the goodness in our lives is dependent on so many others. However, one of the problems with the Thanksgiving holiday is that the spirit of it is, for most people, a one-day event rather than a way of life that study after study has shown helps people become healthier, happier, and more successful. In addition, it typically relates gratitude to our personal lives only but it can and should relate to our work life too. In fact, it can be very beneficial to our work lives. Let’s take a look. Gratitude makes us more productive. According to Harvard Health Studies, being grateful has been proven to put people in a happier mindset which makes us more productive, 12 percent more productive according to a Fast Company study. Gratitude promotes more teamwork and better service. When people, employees, are grateful for each other, they are more willing to help each other, and when more people are willingly working together and helping each other, more gets done. This helpful behavior benefits customers too. When a team is naturally driven to go above and beyond for each other, it is highly likely that they will do the same for customers. Gratitude promotes a “want to” culture. Various studies report that employees are more motivated to work for a boss who shows appreciation for them. In addition, most employees report that they’re likely to stay at a job longer when they feel appreciated. More motivation and a desire to stay, this is a culture people want to work in rather than feeling they have to work in. When you want to rather than have to, you simply do a better job. So how do you incorporate more gratitude into your workplace? Recognize things to be grateful for. Take a walk around the office and make note of people and things that make your workplace great and make you successful. Reflect on those great successes and all of the people who helped make them happen. Keep a journal or notebook with these notes. Refer to it often. Take action. Let that coworker know you are grateful for their help and their hard work by sending a quick email or text, making a phone call, writing a notecard, or simply saying “thank you.” And it doesn’t stop with fellow employees, you should extend your gratitude to customers and clients. Look for an opportunity to express gratitude in every interaction, send them a handwritten note on their service anniversary, or surprise them with birthday cards signed by the entire team. The bottom line is this. 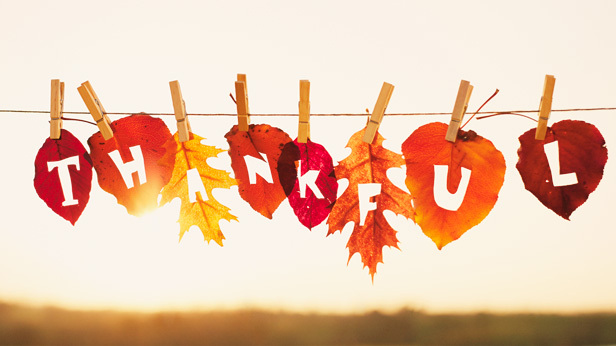 Gratitude has great benefits, not just at Thanksgiving time but all of the time. Play around and see what works for you and your team and commit to showing how grateful you are for all of the blessings surrounding you and your business. Make gratitude a way of life. Happy Thanksgiving!